James and I are headed to our first Play Fair and we couldn’t be more excited! 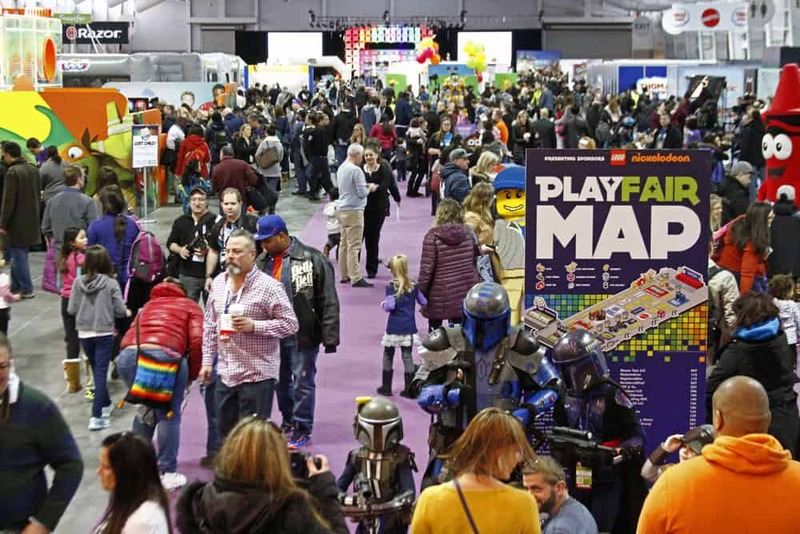 Play Fair, the ultimate play experience for families, is taking place November 4&5 at the Jacob K. Javits Center in New York City. The weekend promises to be filled with fun interactive experiences, larger than life displays and opportunities to check out the latest and hottest toys for the holiday season. This year’s Play Fair will be double the size of last year’s event, which means more play time for all attendees! Play Fair is a colaboration between the Toy Association and LeftField Media and presented by Spin Master and Toys “R” Us. More than 40 exhibitors will be on hand including Cartoon Network, Hasbro, Just Play, K’NEX, LEGO, Midtown Comics, ALEX Brands, Moose Toys, Spin Master, The New York Doll Company, Toys “R” Us, VTech, Kvellix, Inc. (NUTSO) and WowWee. See firsthand which toys, games, and entertainment will be the biggest hits this season, just in time for the holidays. Sounds fun, right? But we have something even better! While we can’t wait to share all the fun with you, wouldn’t it be better to see it for yourself? You can join us! We’re giving one lucky Adventures in Familyhood reader two free tickets to Play Fair 2017 in New York City! YOU can be the first to get up close and personal with this season’s hottest toys! The winner will receive two comp codes that can be entered at www.playfairny.com at checkout to receive your free tickets. Contestants must be from the U.S. or Canada and 18+, and the two tickets are for one winner only. Winners must provide their own transportation to New York City and to the event. Use the widget below to enter. Good luck! We can’t wait to see you there! I love playing with crafty and creative toys with my daughter. We absolutely love playing with puzzles. My little one loves putting the pieces by together. We also LOVE playing Barbies!